Room 405 in the Parkway Central Library at 1901 Vine St. Looking for some of your ancestors? Trying to prove (or disprove) a family legend? Not sure how to search, but you know you’re in the Philadelphia area, so there must be some good places to do your research… right? Of course, right! The Free Library of Philadelphia’s Parkway Central Library is one of those places. 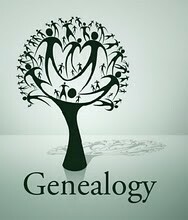 Barbara Pilvin, Yale MA ’76, longtime member of the Free Library’s professional staff and its principal genealogy librarian (and a genealogy “addict”), will introduce you to the Library’s resources in the field (and some others in this region that you can access) and the process of doing genealogical research. If you’d like to ask Barbara anything ahead of time, please e-mail or call her at pilvinb@freelibrary.org (215-686-5396) with questions related to your research interests.